The 86th Texas Legislature or TX Lege 2019 is in session and the Democrats are appalled at the bills being filed. For example, there are over 40 anti-abortion bills alone. The Republicans need to be held accountable. It starts with your education on how the Legislature works and then helping defeat these bills and continues with taking back our County, Our State and Our Country by helping us win the 2020 Election. Listed here are many, though not all, of the actions you can take. The Texas Democratic Party has created an outstanding Training Program for Legislative Activism. 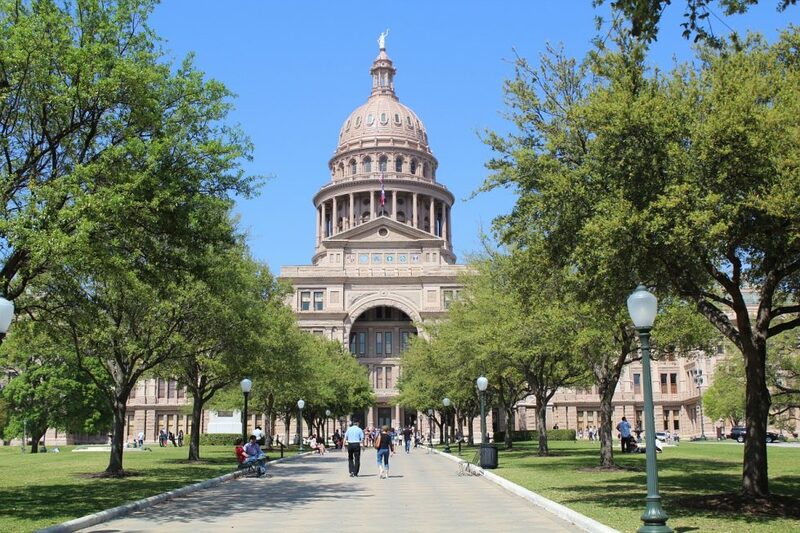 For details, go to the TX Lege corner of this week’s newsletter, The Rally. Notifications of urgent legislative developments, actions, and organizing opportunities. *Note: If you want to car pool to Blue Ribbon Lobby Day, email vicechair@collindemocrats.org. The Supreme Court will determine the fate of Roe, but its dismantling will start on the state level, requiring the effort to push back to be nationwide and expansive. Republican-controlled state legislatures are expected to put forth many pieces of anti-abortion legislation this year. Women in many parts of the country are already finding it nearly impossible to exercise their reproductive rights. At least 424 anti-abortion bills have been passed at the state level since 2010, according to the Guttmacher Institute, which studies reproductive health. As a result, 43% of all reproductive-age women — 29 million people — now live in areas that are hostile to abortion rights, including seven states that each have just one abortion clinic left. Additionally, it is vital to showcase efforts to support reproductive rights on the state level that could serve as models as the fight moves into new legislatures. However, bills with little chance of passing can still have value. In the deep-red bastions of Missouri and Texas, lawmakers like State Representative Jessica Farrar, a Democrat from Houston, have introduced legislation to repeal abortion restrictions and expand access. Such bills may be unlikely to be signed into law, but they raise awareness of an issue that many Americans have long ago tuned out. CONTACT YOUR SENATORS AND THOSE ON A SPECIFIC COMMITTEE THAT WILL HEAR SPECIFIC BILLS. Candy Noble, our HD89 Rep., has filed HB 1929 — relating to the prohibition of certain transactions between a governmental entity and an abortion provider or affiliate of the provider. Two other bills we join with Planned Parenthood in opposing are SB 22 and SB 23. SB 22 is an *extremely* dangerous bill that would ban local governments from partnering with trusted community health care providers and from even advocating on behalf of women’s health interests, including abortion. SB 23 would intimidate and stigmatize abortion providers and interfere with the relationship between a patient and her doctor. Our County Representatives Leach, Sanford, and Shaheen have signed on as sponsors to these bills. Contact Barb Walters, Vice Chair, at the CCDP Office if you want to get more actively involved, or have questions.